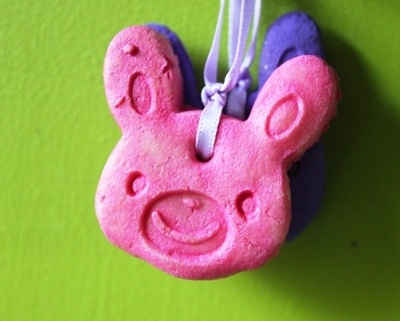 Make your own salt dough and start rolling out these cute Easter ornaments to hang around the house in time for Easter. 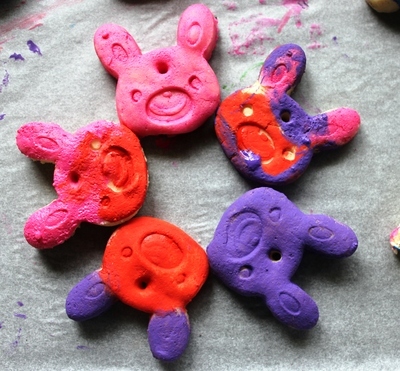 We used Claire Winlow's excellent Salt Dough Recipe and then began shaping it into Easter themed creations, such as rabbits, eggs and love hearts. You can let your imagination run wild and add all the colors of the rainbow after you've baked them in the oven. 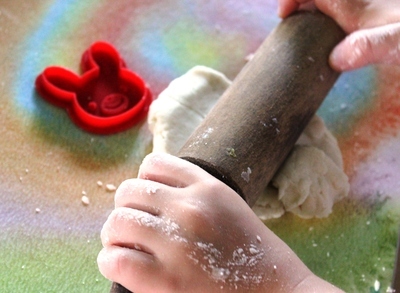 Make your own Salt Dough and begin rolling it out flat with a rolling pin. 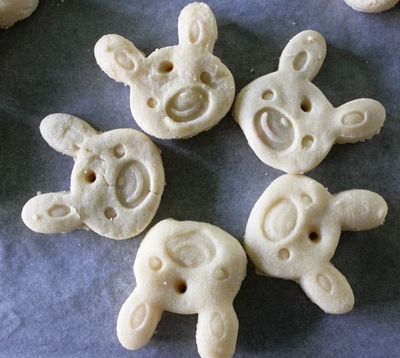 Take your cookie cutters and cut out plenty of Easter themed shapes (rabbits, chickens, eggs, etc). You can shape your characters in your hands if you cannot find any Easter themed cookie cutters. Ensure you make a hole in the top of each shape for threading the ribbon through at the end. Lay out your shapes on a flat baking tray lined with grease proof baking paper. 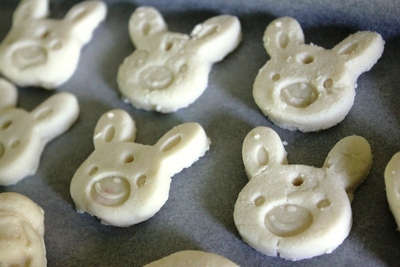 Bake the shapes in a low oven until they are rock hard. 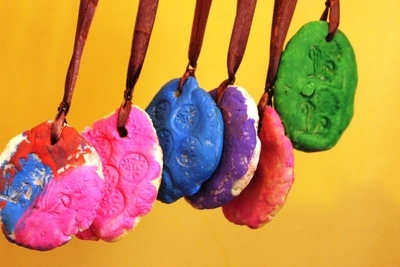 Paint the shapes in rainbow colors once the dough has cooled off completely. Thread a ribbon through the hole and hang your beautiful creations around the house for Easter. 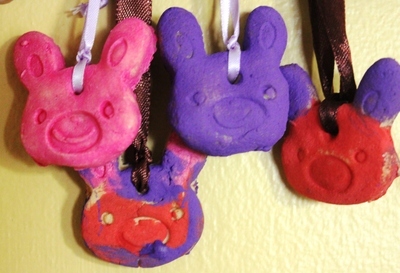 These will also make great hand made Easter presents for extended family members to treasure year after year.